UK-based video games publisher Feral Interactive announced that it plans to release a port of the acclaimed DiRT 4 rally-themed racing video game to Linux and macOS platforms. Developed by Codemasters, DiRT 4 it the sixth title in the DiRT racing game series and the twelfth game in the Colin McRae Rally series. The game was initially released on June 6, 2017, only for PlayStation 4, Xbox One, and Microsoft Windows platforms. 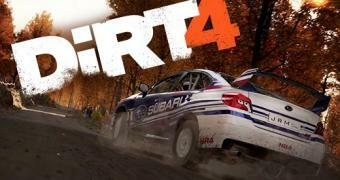 Now, almost two years later, the DiRT 4 racing video is finally coming to Linux and Mac users, thanks to the hard work done by UK-based video games publisher Feral Interactive, which has put a lot of effort in porting the DiRT series to Linux and macOS, DiRT Rally being the first.